If the idea of heading to Ultra Europe in 2018 has been playing on your mind, you’re not alone. 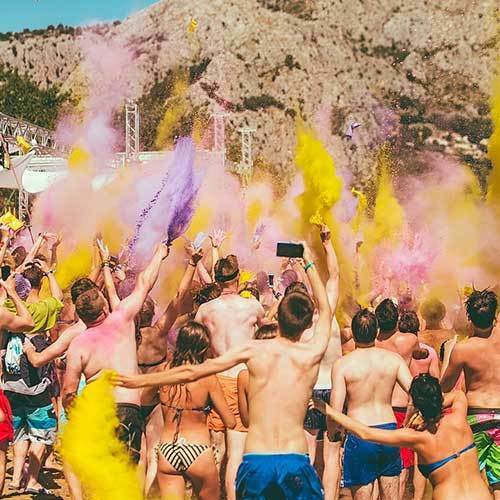 Thousands of people from all over the world are gearing up for this epic EDM festival held in beautiful Croatia. We doubt you need any convincing – but just to get you excited, here’s the top 5 reasons why Ultra Europe should be on your travel list this year! 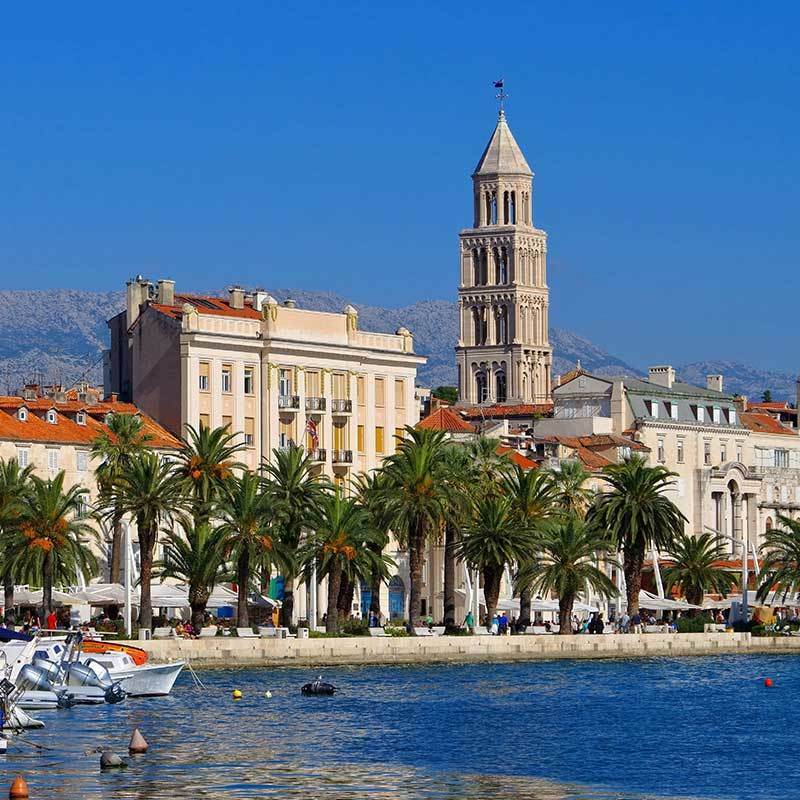 If you’ve never been to Split, it’s the kind of place daydreams are made of. If you’re lucky enough to have visited before, you know what we’re talking about. The warm turquoise waters of the Adriatic, the ancient marbled Old Town, more restaurants and bars than you can pump your fist at, and the bright seafront promenade known as the Riva. With Ultra Europe being set slap bang in the heart of this beautiful Dalmatian city, you definitely won’t want to leave. Make sure you allow yourself plenty of time to relax on the beaches while you’re there; what better way to nurse a sore head after three days of partying to the biggest EDM acts in the world? With a reputation for hosting the most famous DJs in the world, this year is proving no different. 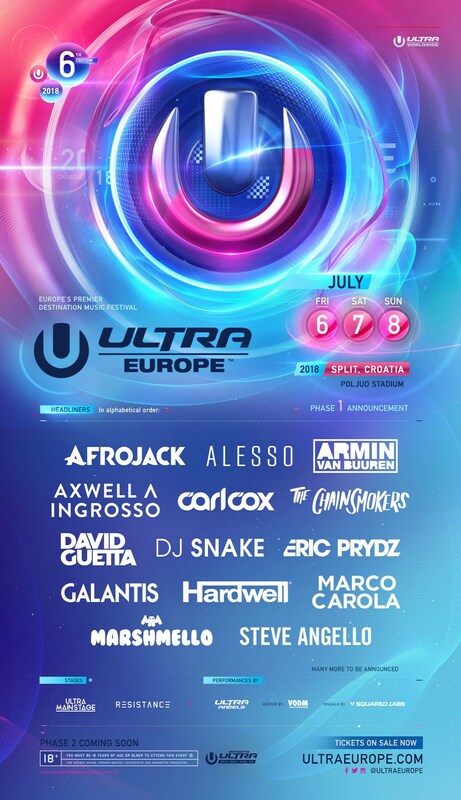 Ultra 2018 is boasting big name headliners like David Guetta, The Chainsmokers, Galantis, Afrojack, Alesso, DJ Snake and a tonne more, so it’s definitely earned the title as Europe’s premiere EDM music festival. With even more artists being announced in Phase 2 shortly, Ultra is going to have the hottest acts to get you raving under the night sky to your heart’s content! Beyond the boundaries of the stadium, you’ll feel that the atmosphere has spread throughout the city and beaches. 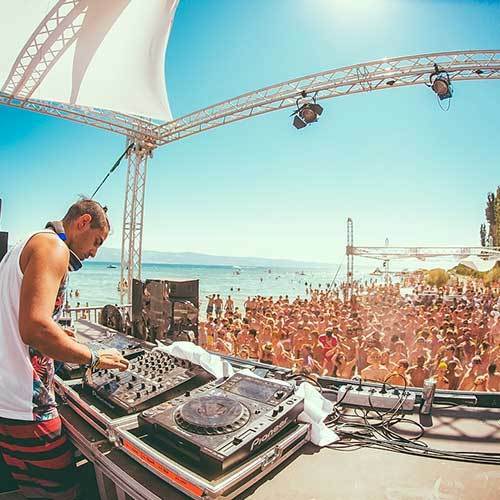 For this week Split transforms into a party hub, with yacht regattas, an opening party, Ultra Beach, and a closing party to round it all off. With camping, hostel or sailing options, the possibilities are endless; bounce from an epic beach party, to an afternoon exploring the Old Town, rave until dawn and relax the next day with a swim in the crystal clear waters. Ultra Europe is renowned for it’s focus on unity, with a hugely diverse range of partygoers gathering from all corners of the globe. Last year the crowds were made up of over 150,000 revellers from 125 different countries, and this year is set to be bigger than ever. It’s good vibes only at this massive event, and there’s a crazy amount of patriotic pride among the crowds. You’ll spot national flags everywhere you look, and it’s hard not to get caught up in the energy with everyone coming together to celebrate. This is the beauty of Ultra Europe – it’s heaven for the EDM fanatic, but it’s also an unforgettable experience for anyone looking for the ultimate party atmosphere while travelling. You’ll never be bored at this stadium playground with multiple stages, awesome food and drinks, pulsing beats, light shows and entertainers. Bound to be a highlight for any European adventure, this is a must-see event for your overseas experience and will no doubt have you craving a return ticket for next year. 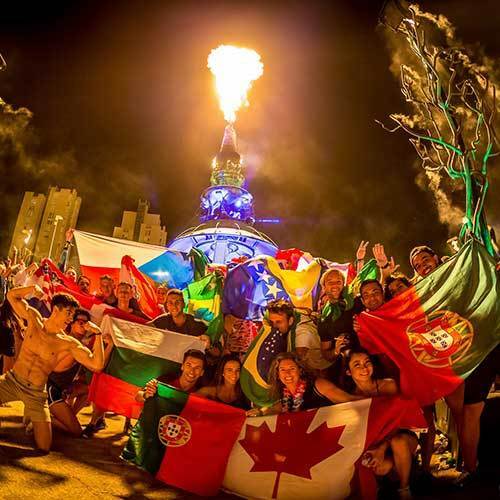 Busabout has sailing, camping and hostel options available for Ultra. Find out more here!